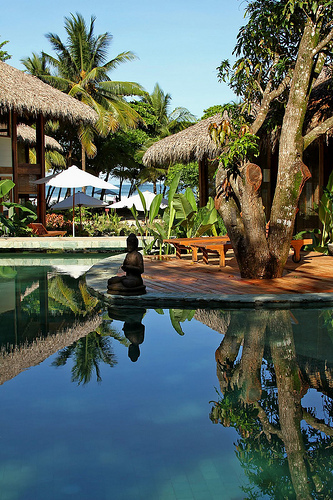 Pranamar Villas & Yoga | Pranamar Villas & Yoga | Tantalizing Organic Cuisine starts at Pranamar! Tantalizing Organic Cuisine starts at Pranamar! One of the best things about living in a tropical country is all of the fresh fruits and vegetables. Even better is if you live near the ocean for fresh fish as well! In Costa Rica we enjoy year-round fresh produce thanks to the myriad of tropical micro-climates in our mountainous country. Organic produce and meats are the latest hot thing too – another plus. 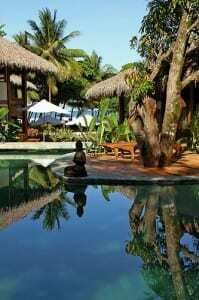 Our Buddha Eyes open-air restaurant and tea lounge at Playa Santa Teresa, specializes in healthy, organic cuisine with fresh fruits and vegetables, just-out-of-the-ocean fish and shellfish, and organic meats. The hotel’s name “Pranamar” is a combination of the word “Prana” which means “breath” in Sanskrit, and “Mar” which is “sea” in Spanish. You get both in our idyllic tropical restaurant – light airiness under beautiful high bamboo ceilings, views over the lagoon-style saltwater pool and fresh sea breezes from the Pacific Ocean, just steps away. Our international team of expert chefs is committed to creating dishes that nourish the body and enliven the senses, inventing delicious combinations in vegetarian and other dishes, and that day’s catch of tasty fresh seafood and fish caught by local fishermen. The kitchen line-up is a reflection of Costa Rica’s “melting pot” of diverse cultures. We have Chef Rodrigo Soriano of Argentina, who specializes in fish, grilled tenderloin and local pork dishes. One of his trademarks is fresh grilled white fish with a tamarindo ginger sauce, served over quinoa cooked with star anise, laurel and keiffer leaves. Another chef is Claudio Mazzone from Italy, whose homemade eggplant parmesan from his grandmother’s secret recipe is a mouth-watering treasure worth traveling for. Cooking up vegan and vegetarian dishes is our Chef Jesus Zabala from Venezuela. 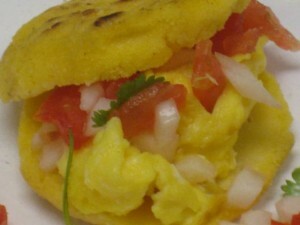 Guests adore Zabala’s breakfast arepas – homemade thick corn tortillas, grilled and stuffed with scrambled eggs, tomatoes, onions and cheese. One of his dinner specialties is cornmeal gnocchi’s (an Italian dumpling) served with either basil or sundried tomato pesto. 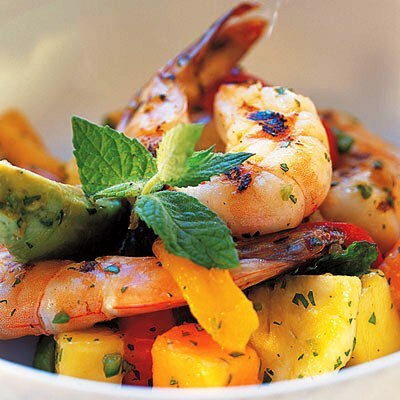 Our restaurant’s overall style merges Pacific Rim and Asian cuisine with native Costa Rican touches. Even vegetarian, vegan and gluten-free dietary needs can be accommodated – not easy to find in Costa Rica. The casual yet intimately elegant dining ambience flows naturally from the hotel management’s passion for food, high standards of quality and friendly service. Buddha Eyes restaurant is open to the public daily for breakfast (7:00-11:00 am), lunch (12:00-3:00 pm) and dinner (6:00-9:00 p.m.). 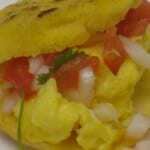 Here is one of our rave-review recipes to share. Put 1-1/2 cups chocolate soy milk or chocolate almond milk in a pot and add 1-1/2 cups vegan chocolate chips. Put in blender and add one 12-oz box of tofu and 1 teaspoon of vanilla. Pour into martini or cocktail glasses and chill for 4 hours. When ready to serve, you can put shaved vegan chocolate on top or dairy free whipped cream.